Sekope Kepu has used the last couple of months to reflect on life on the sideline and manage the frustration of not being part of the on field action. He is a free man this week after sitting out a three-match ban for a dangerous shoulder charge on Scotland’s Hamish Watson in the Wallabies’ loss to Scotland at Murrayfield last November. 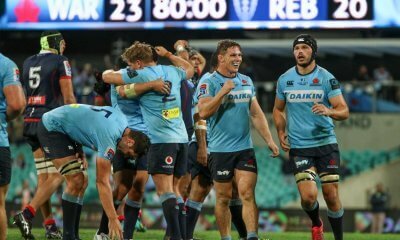 The suspension resulted in him missing the start of the NSW Waratahs’ 2018 campaign, including pre-season match against the Melbourne Rebels at Brookvale Oval and more importantly, the opening rounds of Super Rugby matches against the Stormers at home and the Sharks away in South Africa. “I can’t say that it’s been easy watching the boys play. 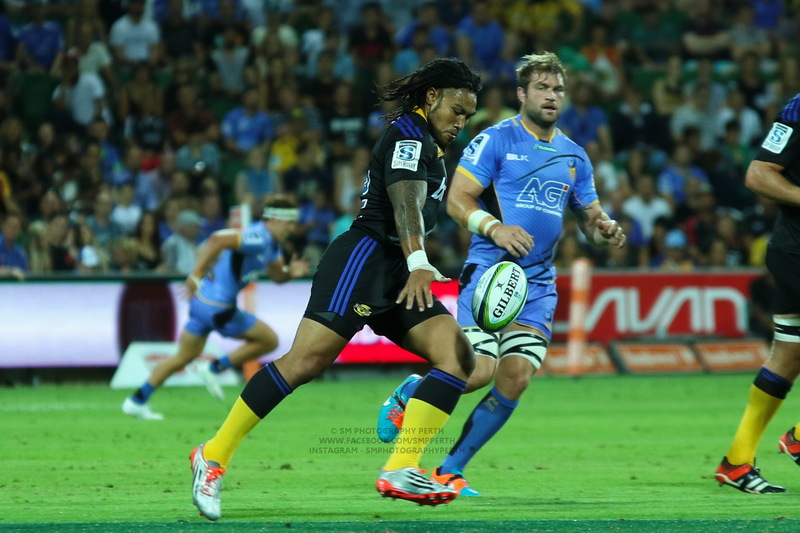 I am disappointed in this situation where I’ve let our team, myself and my family down,” Kepu reflected this week. Since learning his fate, Kepu has committed himself to being in better physical shape than before. “It’s not easy watching your team play knowing you could’ve been part of the action. The desire to make a meaningful contribution to our goals for the year is driving me to work extra hard on the training paddock, and put in the extra time with our strength and conditioning coaches, I want to get my body right and up to the same standard as the rest of the team,” Kepu said. 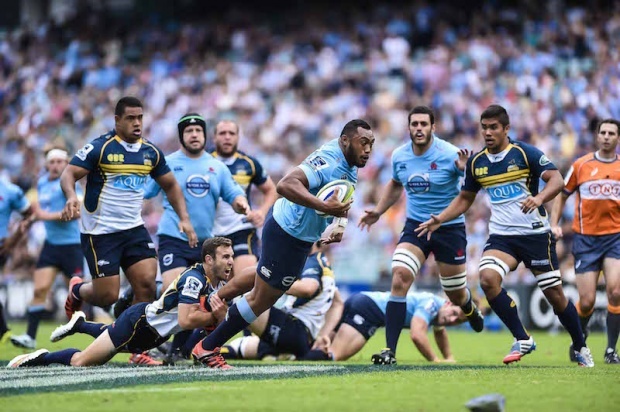 As one of the most experienced players in the NSW Waratahs side with 110 Super Rugby caps to his name, witnessing the emergence of the next generation of front rowers has been both an inspiration and motivation for Kepu. 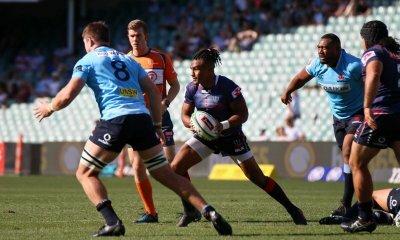 Harry Johnson-Holmes and Shambeckler Vui are two of the young guns who made their Super Rugby and NSW Waratahs debut in the opening match against the Stormers. Great to see Kepu back. He and Polota-Nau were the unsung heroes behind our mini-renaissance during the Rugby Championship last year, despite other mind numbing selections and one-track game-plan. I like Kepu. Even though he was a No8 who made the transition fairly late, he has taken to TH really well. For me he is the definition of a good Tighty in that his set piece is really sound (meat), his defensive work is dependable (potatos) and then beyond that his ball-handling around the ground is a good addition (good gravy on-top). When you look and compare across the tight forwards we have had in recent years his ability to support and off-load through half-gaps (compared to his colleagues) on-top of a sound scrum, lineout and tackle base has been quite noticeable. I’d say more than sound scrummaging. I think he’s been our best prop this century. He has been great, and was a huge part of us making the 2015 WC final. Best this century partly because of his longevity and consistency too! I would think we have to go back to the Richard Harry and Andrew Blades prop combination to find a truly world class Wallaby front row. Thank heavens. 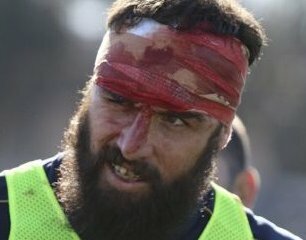 Our scrum is suffering from the ‘Barnaby paradox’ – we can all agree its fucked, but we are unsure just who fucked it. Need the big fella back pronto. So you reckon Robbo is a plant from Ledesma a few years back, classic Mario subterfuge. Wily Frangentnians. I dont know if he is a plant. But his scrummagging is pure crap! I fully get that he’s not match fit. However I am wondering if Kepu’s time away, courtesy of the red card, might just prove to be a silver lining by allowing him to improve his strength, fitness and get his body right.